Good morning! Yesterday was crazy, so I didn’t get a chance to post! My day started with a smoothie. I was running out the door, and needed something quick. 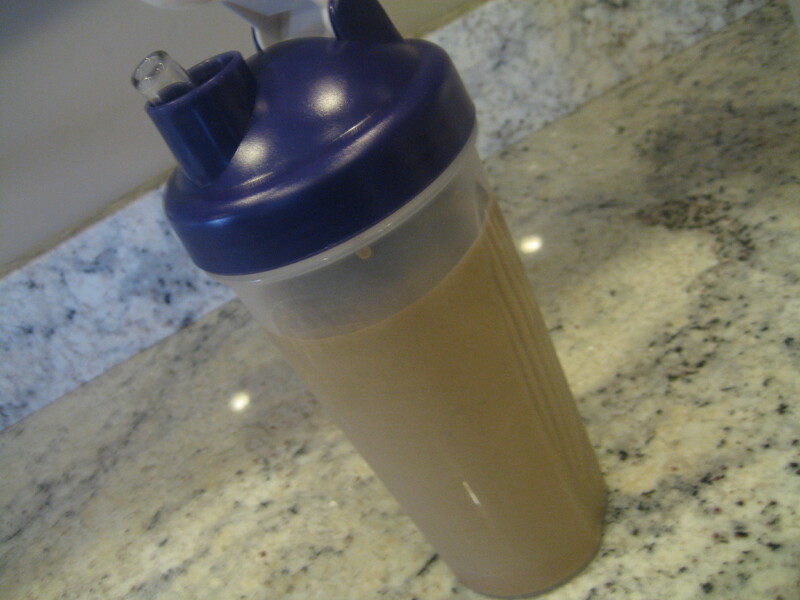 This wasn’t my best smoothie, but it did keep me full and satisfied for hours! 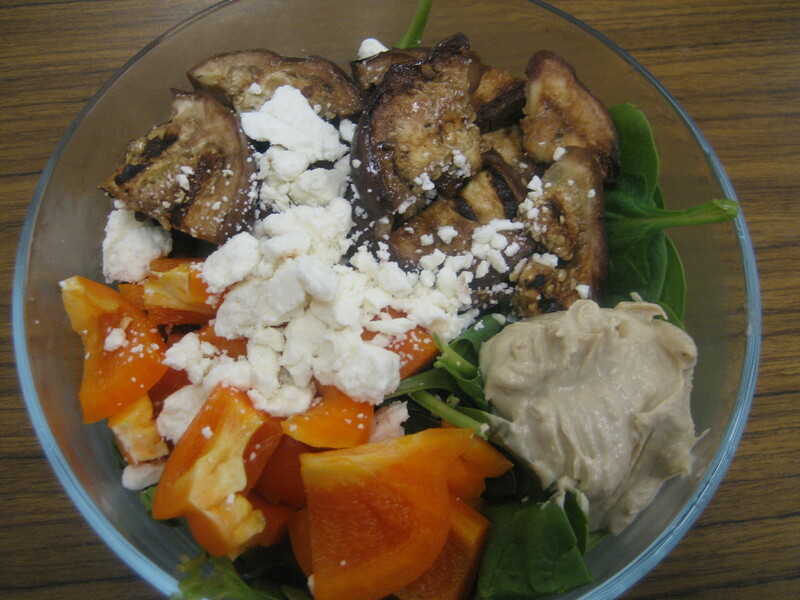 I think I put a little more peanut butter than was needed…and the cottage cheese added lots of extra protein for me. Wow, there was a lot in that smoothie – lots of calories and lots of goodness. But, it tasted way to peanut buttery, even for my taste! I think that 1 tbsp would have been plenty, but I was rushing around this morning and not thinking clearly. Lunch was a delicious salad. 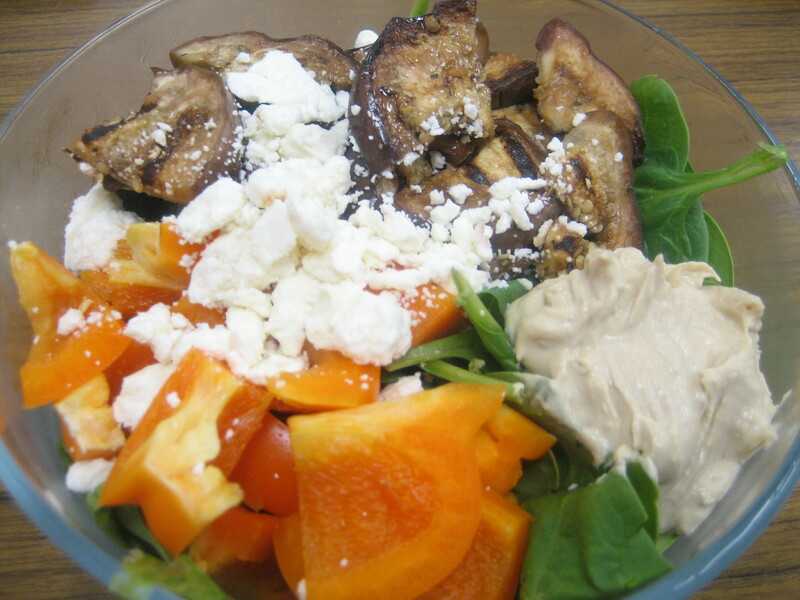 Spinach with grilled eggplant, 1/2 orange pepper, feta cheese and hummus. The eggplant was a great addition! It was delicious! I also snacked on an apple and some chocolate pretzels for ‘dessert’. Brant had the day off for Patriot’s Day, so dinner was ready for me when I got home! He made a few additions to one of our favorite meals – Lentil Almond Stirfry from 101cookbooks.com. And, it was still just as delicious! I really think that the mint sauce makes this dish :). 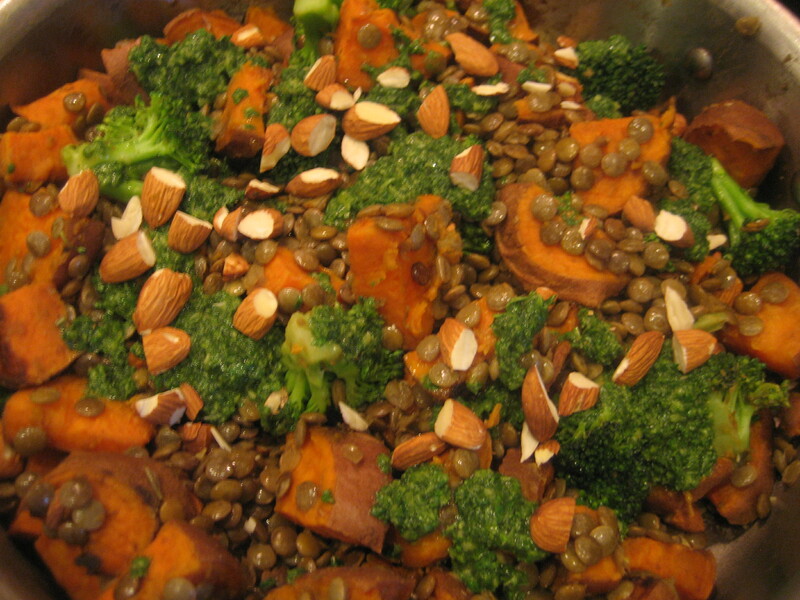 And the combination of lentils with potatoes and veggies. It is a delicious and very easy meal. 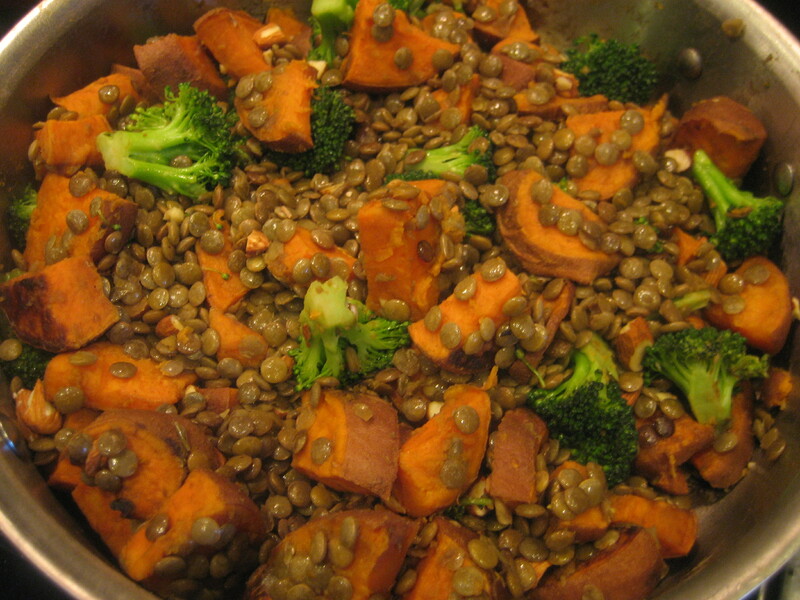 Brant did cook the lentils this time (as opposed to using the pre-cooked lentils from Trader Joes) which makes the process longer, but it is well worth it! It looks like a gorgeous day! This looks so good but I hate mint sauce….you think I could still make it without it?